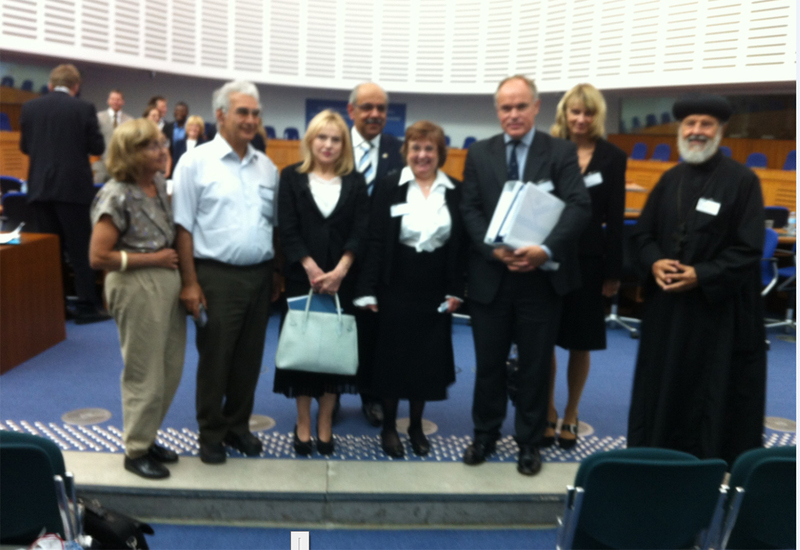 Judge quietly sends Coptic Christian children home; appeal denied. CAIRO, Egypt, March 6, 2013 (Morning Star News) – A court in Egypt has quietly found two Coptic Christian boys guilty of “showing contempt for Islam” but only remanded them to the custody of their parents, an attorney for one of the children said. 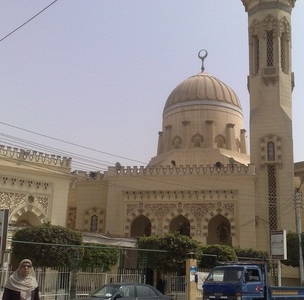 In a case of alleged blasphemy that inflamed passions in provincial Egypt, a judge in Beni Suef, 62 miles south of Cairo, ruled the two boys guilty of desecrating pages of the Koran in spite of conflicting statements by the accuser and doubts about the functionally illiterate boys’ capacity to identify Koranic verses, attorney Karam Ghoubrial said. The judge cited the boys’ age in the light sentence; they were 9 and 10 at the time of the Sept. 30 incident. By issuing a guilty verdict in near secrecy on Feb. 4 – the ruling came to light only the past week – and declining to hand down prison time or a fine, the judge seems to have averted foreign criticism while quelling the anger of Muslim villagers. The US bet their money on the wrong horse by backing the ‘undemocratic’ Muslim Brotherhood in Egypt, geopolitical analyst F. William Engdahl told RT, adding that the IMF loan for which Washington is pushing, will make people’s life even harder in Egypt. Kerry’s arrival in Cairo on March 2 has been greeted with street riots in several of the country’s cities, which saw one person killed and dozens injured. The country’s opposition leader, Hamdeen Sabahi, and his ally, Mohamed ElBaradei, have turned down invitations to meet with the new US Secretary of the State, due to America’s backing of the Muslim Brotherhood. The aim of Kerry’s visit is to persuade Egypt to pass a set of unpopular reforms in order to qualify for a $4.8 billion International Monetary Fund loan package, with the US also promising to provide $450 million of financial help of their own to Mohamed Morsi’s government because of its promises of economic and political reforms. Millions of locusts destroy crops in Egypt, as neighbouring Israel tries to prevent an outbreak there. An enormous swarm of locusts has descended on Egypt, with authorities in Israel worried they could spread across the border. Millions of insects have already devastated agricultural land near the Egyptian capital Cairo by stripping crops. Fears of a similar wave of destruction in Israel prompted the country's Ministry of Agriculture and Rural Development to set up an emergency hotline. CAIRO: Opposition leader Mohamed El Baradei on Saturday called for a boycott of Egypt’s upcoming legislative elections as the president was set to reschedule the first round which clashes with a Christian holiday. “Called for parliamentary election boycott in 2010 to expose sham democracy. Today I repeat my call, will not be part of an act of deception,” the Nobel Peace laureate and former head of the UN atomic watchdog wrote on Twitter. Former foreign minister Amr Mussa, another leader in the National Salvation Front (NSF), said many members of the opposition bloc were inclined to boycott the four-round election, but a final position had not yet been taken. “There is a large group that wants a boycott, but it has not yet been discussed, and no decision has been taken,” he told AFP. The election is scheduled to begin on April 27, with a new parliament to convene on July 6. CAIRO: An Egyptian opposition group is using a novel way to protest against President Mohammed Mursi: sign him up for a chance to win a trip to space. The April 6 Youth Movement said on its official Facebook page on Thursday that it had entered the Islamist leader's name in the online contest because it wanted to be rid of him. It called on supporters to vote for the president so he'd have a chance to win the trip into space. There was no immediate response from the president's press office to an email seeking comment. Egypt spent the equivalent of £1.7m on 140,000 US-sourced teargas canisters last month, despite the Egyptian government nearing bankruptcy – and amid a wave of police brutality that 21 human rights groups this week labelled a return to Mubarak-era state repression. Egypt's interior ministry made the emergency order at the end of January, according to records retrieved by Egyptian broadsheet al-Masry al-Youm. It came at the start of a week of civil unrest sparked by protests against President Mohamed Morsi, his Muslim Brotherhood, and police malpractice. CAIRO Feb 21 (Reuters) - Egypt plans to invite an IMF mission to Cairo within a week, the government said on Thursday, signalling an imminent resumption of negotiations over a $4.8 billion loan as it struggles with an acute foreign currency shortage. Planning Minister Ashraf al-Araby said foreign investment in Egypt had all but dried up and announced grim economic data , exposing the depth of the country's financial crisis before elections expected in the spring. Analysts had expected the government of President Mohamed Mursi to try to delay a deal with the International Monetary Fund until after the elections, as the loan's terms will demand highly unpopular austerity measures. Parliamentary polls are expected to begin in April or May. CAIRO (Reuters) - One of Egyptian President Mohamed Mursi's sons withdrew from taking up a job with a firm affiliated to the civil aviation ministry on Sunday amid media accusations of nepotism. The decision by Omar Mursi to forgo a human resources post at the Holding Company for Airports and Air Navigation showed the role of independent media in holding leaders to account in the new Egypt, following the uprising that toppled President Hosni Mubarak in 2011. Addressing the prevalence of diarrhea among young children in Egypt, Prime Minister Hisham Kandil explained what he believes to be the cause of the ongoing epidemic: women's "unclean" breasts. In the speech, broadcast on Egyptian TV channel Nile Culture, Kandil recalled what he saw during a visit to a rural part of the nation where clean water is scare. According to a Huffington Post translation of the original video clip (below), the prime minister said he has seen children get diarrhea because mothers are too ignorant to know to clean their breasts before breastfeeding their infants. The bank said reserves fell by $1.4bn during the month from $15bn to $13.6bn amid continued political unrest and violent street protests. The figures again raise concerns over the state of Egypt's economy and the government's finances. The economy has stagnated since the revolution to oust former President Hosni Mubarak in 2011. The central bank gave no reason for the fall in a statement published by the state news agency Mena. But economists say the continued political instability in Egypt has crippled the tourism sector - an important earner of foreign currency - and discouraged foreign investment. CAIRO/BERLIN (Reuters) - Authorities in an Egyptian city scaled back a curfew imposed by President Mohamed Mursi, and the Islamist leader cut short a visit to Europe on Wednesday to deal with the deadliest violence in the seven months since he took power. BERLIN (AP) — Egypt's Islamist president turned aside repeated criticism of his past comments referring to Jews as "the descendants of apes and pigs" as he visited Germany on Wednesday, insisting that the remarks were taken out of context and were aimed at criticizing Israeli attacks on Palestinians. 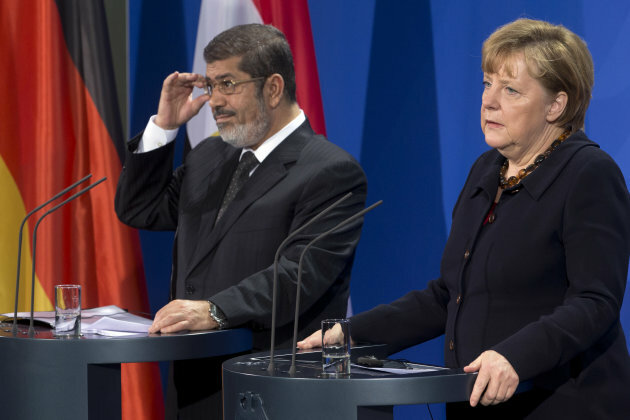 A key focus of Mohammed Morsi's one-day visit to Berlin was to seek support to rebuild a crumbling Egyptian economy. However, questions about his comments — made in 2010 — pursued him throughout the day. The remarks drew attention earlier this month when an Egyptian TV show aired them to highlight and mock Morsi's current policies. BERLIN: German Chancellor Angela Merkel urged the visiting Egyptian president Wednesday to ensure constant dialogue as his country grapples with a political crisis that has sparked deadly unrest. 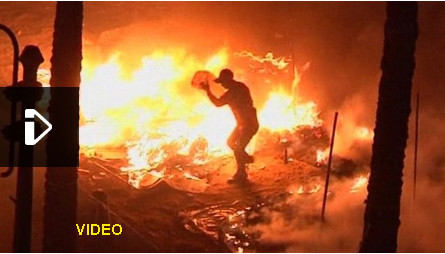 Police have clashed with protesters gathering in Tahrir Square in the Egyptian capital, Cairo, ahead of the second anniversary of the uprising that swept Hosni Mubarak from power. 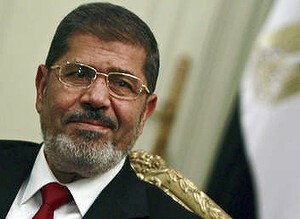 President Mohammed Morsi's opponents plan a rally, accusing the Islamist leader of betraying the revolution. 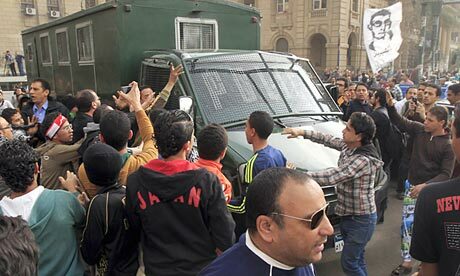 Mr Morsi denies the claim, and has called for "peaceful" celebrations. Egypt's Islamist president sought Wednesday to defuse Washington's anger over his past remarks urging hatred of Jews and calling Zionists "pigs" and "bloodsuckers," telling visiting U.S. senators that his comments were a denunciation of Israeli policies. Both sides appear to want to get beyond the flap: Mohammed Morsi needs America's help in repairing a rapidly sliding economy, and Washington can't afford to shun a figure who has emerged as a model of an Islamist leader who maintains his country's ties with Israel. U.S. Sen. John McCain said a congressional delegation he led that met with Morsi expressed to him their "strong disapproval" about his 2010 comments. The delegation and Morsi had a "constructive discussion" about the remarks, he told reporters. The White House has condemned anti-Semitic remarks by Mohammed Morsi, the Egyptian president, who once described Israelis as the “descendants of apes and pigs”. Mr Morsi’s slurs, which emerged in recordings from 2010, were termed “deeply offensive” by Jay Carney, Mr Obama’s press secretary, who said concerns had been raised with Egyptian officials. Mr Carney urged Mr Morsi, who has promised to respect Egypt's decades-old peace treaty with Israel, to promptly state publicly that he respects people of all faiths. A British Airways employee suffered discrimination at work over her Christian beliefs, the European Court of Human Rights has ruled. 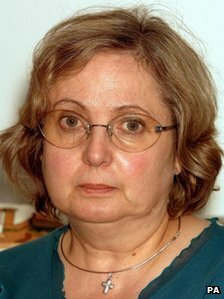 Judges ruled Nadia Eweida's rights had been violated under Article 9 of the European Convention on Human Rights. CAIRO (Reuters) - Egypt's Islamist President Mohamed Mursi fired his finance and interior ministers, cabinet sources said on Saturday, in a government reshuffle he had promised to assuage public anger at an economic crisis. General Mohamed Ibrahim will replace Ahmed Gamal El-Din as interior minister and Al-Mursi Al-Sayed Hegazy takes the finance ministry job from Mumtaz al-Saaed. Egypt's pound, 10 percent down since the 2011 uprising that toppled Hosni Mubarak, lost more than 3 percent against the dollar in the week ending on Thursday, hitting a record low as fears grew over its rapidly shrinking foreign currency reserves.